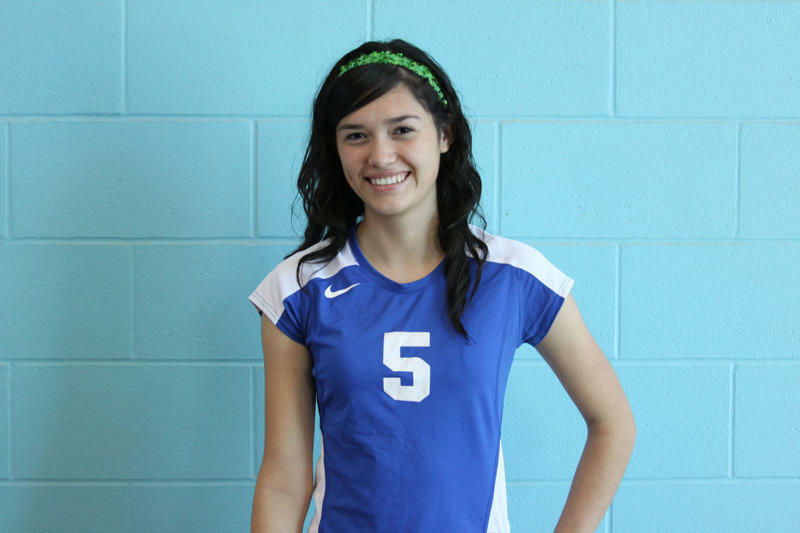 Grulla High School senior, Jessica Falcon (#5), earns a spot on the Volleyball Academic All-State Team. Athletes nominated must meet the following criteria; must have an overall grade point average of 92 or above, including grades 9th-12th and first six weeks of 12th, have been a member of the team in good standing at the time of nomination, must be a senior, and of good moral character. She was also one of the players to receive Honorable Mention in the 2010 Volleyball 32-3A District Selections. Falcon is a first year Letterman and is ranked 40 out of 221 seniors. Overall Stats include 3 blocks, 34 kills, 34 digs, 1 ace, 5 assists and 38 points. Her District Stats include 1 block, 23 kills, 12 digs, 2 assists and 15 points. Congratulations to Jessica for her accomplishments.